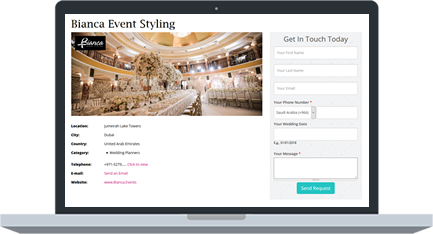 Receive a full profile page with your contact details, links to your website & social media pages, images, videos… and more. Subscription plans are available for 3, 6 and 12 month periods. For details, click here. 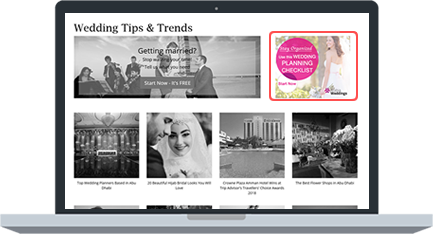 Sponsored content is a great way to put your message across to your potential clients in the form of an article published in a relevant section on Arabia Weddings (eg fashion, beauty, honeymoon… ). Rate: $350 per article for the basic plan. 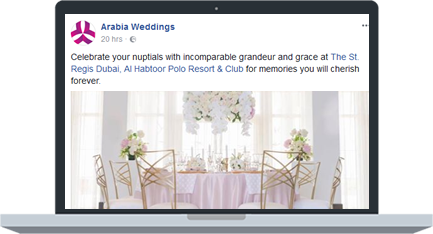 Attract traffic to your website by placing an ad on Arabia Weddings. 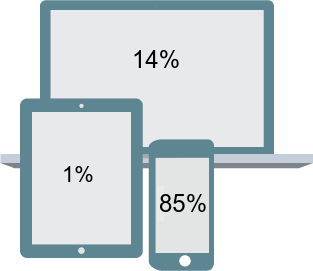 Banner sizes available are: Killer banner - 300 x 250px & Leaderboard - 728 x 90px, in addition to special executions. 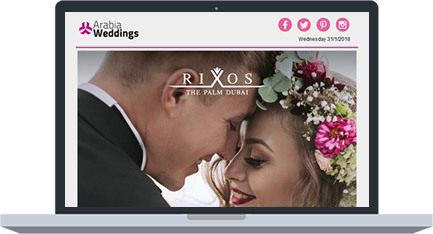 Get into the mailboxes of brides-to-be through an Electronic Direct Mail (EDM) that can be sent to the full database of brides-to-be in the MENA region or to a specific country. 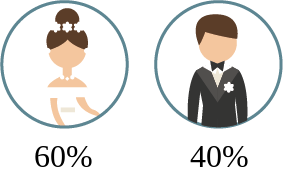 $1500 for a package of 6 EDMs (all markets) or $650 for 6 EDMs targeted at brides-to-be in one market. Reach thousands of potential clients through Social Media channels (Facebook, Instagram, Twitter). 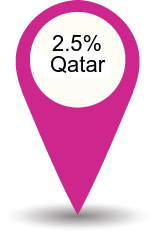 Your post will be placed on 3 channels and boosted to your target audience across the MENA region or to a specific location as desired.